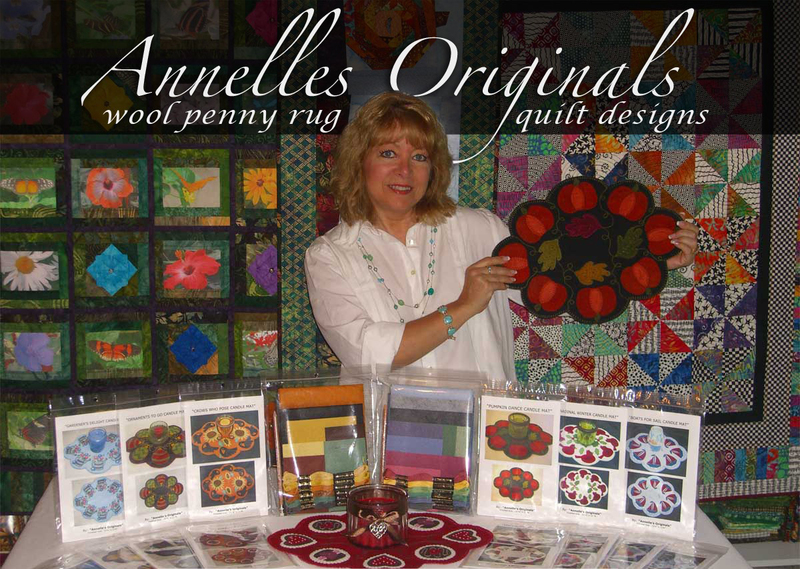 I am Annelle Holzman, designer and owner of “Annelle’s Originals” and I want you to know that this is truly a dream come true for me. Since I was a very little girl, my Aunt Gilda (my Godmother) was always teaching me handcrafts. In fact, everyone who’s ever known me, knows I could not live without creating in some way or another. So to be able to start my own little cottage business here in the woods of Beacon Falls, Connecticut, with the bit of talent God has blessed me with is incredibly exciting to myself and my family. I’d like to think my beloved Aunt Gilda is looking down from heaven with a great big smile on her face. I’d also like to thank my wonderfully patient and supportive husband and my teenage son who (by the way) is a very talented artist and drummer in his own right. He's the one who designed this website for me! Check out his work on his website here. Sorry, I’m just a tiny bit proud!! There are many other family and friends who should also be thanked for their love and devotion. Some even took the time to test out my designs so that I can be sure to bring you simple but quality pattern directions. Candles and candle mats really do bring an added warmth to a room . Please be sure to come back and visit often as I am developing countless more designs at quite the steady pace. There are so many in my mind you’ll want to just pick a special little place in your home and/or even a friend’s home for a cozy and inviting candle mat to simply switch out as the seasons come and go. All of them being the same size makes this easy to do and you’ll always have plenty to choose from. Eventually I’ll be adding my quilt designs, as well. Only in America can men “and” women choose the path we love and actually attempt to make a living at it with such freedom and ease. God bless America and God bless you! Thank you, again! This video probably tells more about me and my quirky personality and designs more than any old words can tell. it is my favorite video ever! in fact, it has inspired me sooo much that i used this wonderful, warmhearted story to design my latest fall pattern of the same name. check it out and enjoy!! !